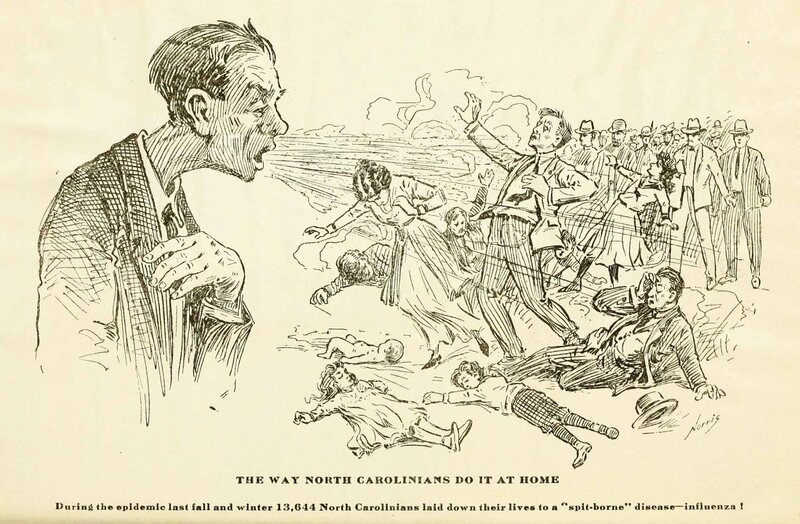 Lauren Austin ’18, who earned her Public Policy Ph.D. and master’s degree in History from UNC Charlotte, researched this influenza pandemic, which left citizens “afraid to breathe,” as she describes it. 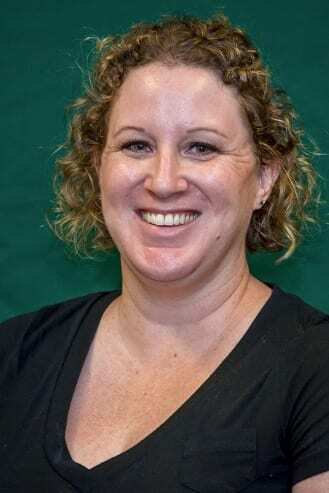 Her research with co-author Dr. William P. Brandon appears in the book, “North Carolina’s Experience during the First World War,” (The University of Tennessee Press), which was co-edited by UNC Charlotte History professors Dr. Shepherd W. McKinley and Dr. Steven Sabol. Brandon is Emeritus MMF Distinguished Professor of Health Policy at UNC Charlotte. Austin, whose dissertation formed the foundation for the book chapter, focused on the experiences of the pandemic at the state level, the county level and the individual level, creating a narrative of roughly 200 pages. She based this narrative on extensive archive research, including research in UNC Charlotte’s J. Murrey Atkins Library’s Special Collections and University Archives, and a review of newspapers from the time period. She also created a new database, which will help other researchers more effectively study the pandemic. This deadly epidemic has continued to play a role in determining modern responses to the threats of “swine flu,” Zika, and other infectious diseases up to the present day, Brandon said. “Yet as quickly as it appeared on the red clay and sandy soil of North Carolina, it effectively disappeared; a pandemic, which killed between fifty and one-hundred million people worldwide in a remarkably short period, was seemingly forgotten,” Austin wrote. The flu virus mutates quickly, and it changes so much that people’s immune systems struggle to recognize and fight it. Last winter, close to 80,000 Americans died from flu and its complications, the disease’s highest death toll in at least 40 years. Over 1 million people ended up in the hospital. The Centers for Disease Control and Prevention (CDC) says that one reason for the high death toll is that just 37 percent of Americans got the flu shot, perhaps because early reports indicated it was less effective than usual. Yet, studies show that even when the vaccine is less effective in preventing flu, it still reduces the severity of the illness when people get the flu, and dramatically lowers the risk of death. Remembering last year’s impact of the flu, and thinking back to the deadly 1918-1919 pandemic can remind people of the importance of the flu vaccine. Staying up-to-date with immunizations, health officials say, can help prevent people from contracting and spreading community-impacting diseases like the flu. Words: Skylar Case, College Student Communications Assistant | Illustration from the October 1919 issue of the Health Bulletin (vol 34, issue 10), published by the North Carolina State Board of Health. Accessed via The State Archives of North Carolina.